Mardi Gras. Fat Tuesday. The last day to indulge, imbibe, and get intoxicated before midnight strikes and Ash Wednesday arrives. You can’t fully celebrate Mardi Gras without a cocktail in hand. 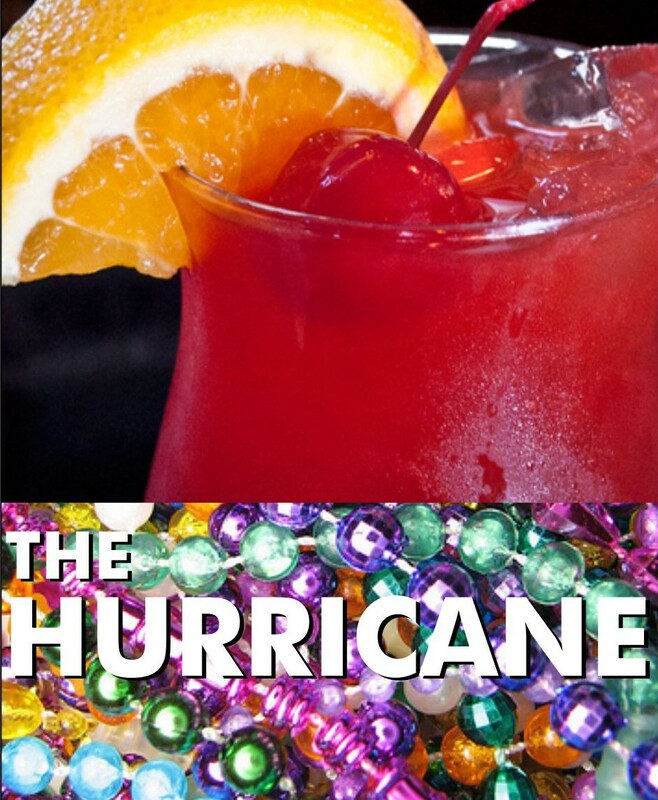 And what cocktail is more fitting than the New Orleans Hurricane. Back in the 1940s, New Orleans bar owner Pat O’Brien faced an inventory issue of way too much rum. Distributors found themselves with lots of post-prohibition rum and would force bar owners to purchase large quantities of it before they could purchase the more popular scotch and whiskey. Because he had to move this inventory quickly, he created a recipe for a drink to use up the rum. His creation was poured into a hurricane-lamp shaped glass and The Hurricane was born. He gave the drink away to sailors and the drink caught on. Serve over crushed or cracked ice and garnish with an orange slice and stemmed cherry. During prohibition in the 1930s, the club was known by the name “Mr. O’Brien’s Club Tipperary.” As with most underground drinking establishments of that time, a password was required for entry. 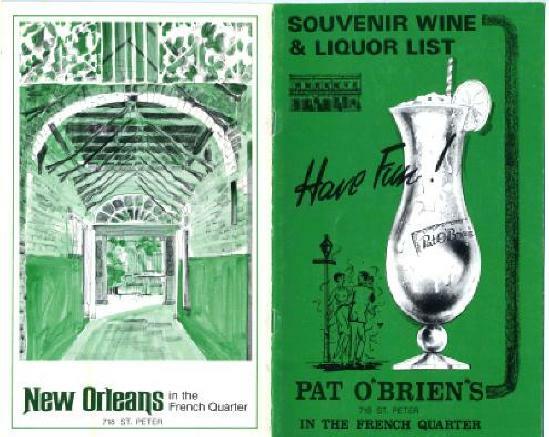 The Pat O’Brien Bar opened December 3, 1933, only two days before the end of Prohibition. Happy Fat Tuesday. And as they say in the French Quarter, laissez les bon temps rouler!